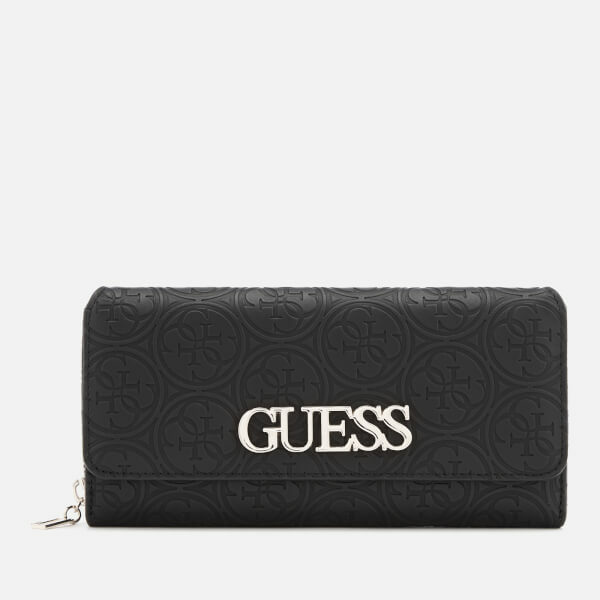 The Guess Heritage Pop clutch bag has a multi-purpose design for additional use as a large zip around purse. 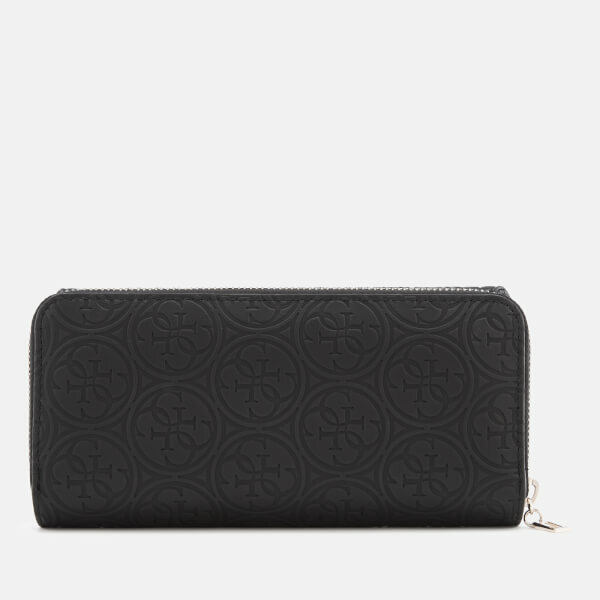 The faux leather wallet is embossed with the brand’s monogram, the Quattro G-diamond pattern with a series of interlocking “G’s”. The front flap fastens with a double press stud and contains 12 card slots, two transparent ID windows and two note compartments. 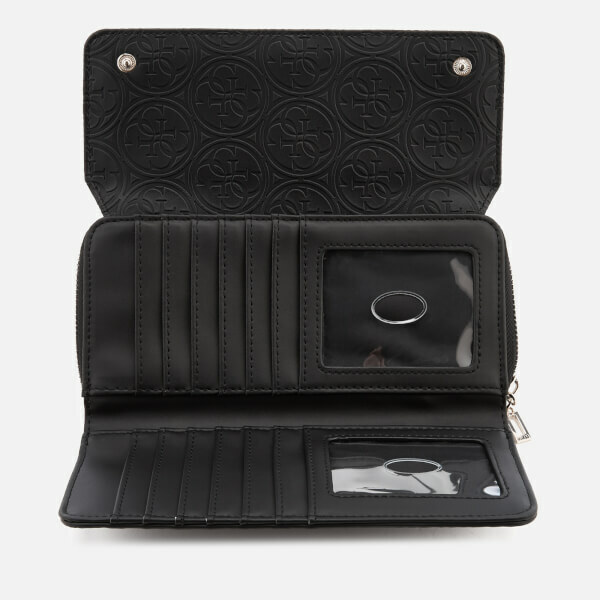 The rear zipped section has eight card slots, two note compartments and a central zip pocket for coins. 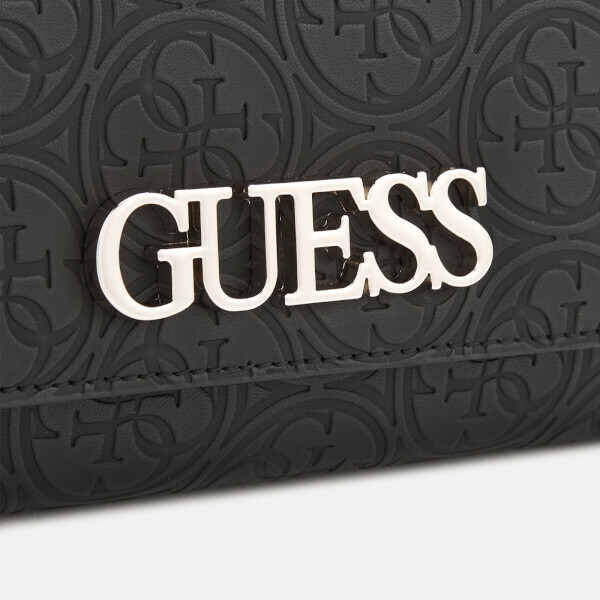 A silver-tone plaque of the Guess motif features on the front.